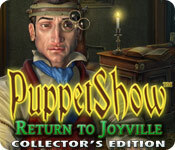 PuppetShow: Return to Joyville Collector's Edition is rated 4.3 out of 5 by 125. 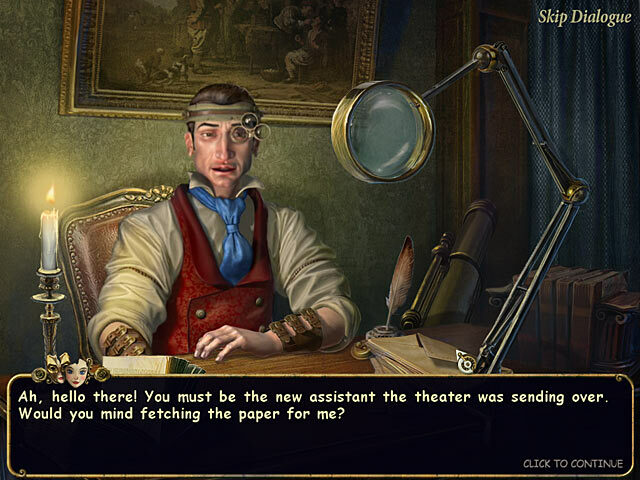 Rated 5 out of 5 by Boomer1097 from Another Excellent PuppetShow Game This is the fourth edition of the PuppetShow collection and it is excellent! In this game you are helping Felicia change her past, so you are back in Joyville. You have to stop the evil Cricks and free Felicia's father. The graphics are excellent, the cut scenes and voice overs are well done, the iHOS are fun to play and the mini games are entertaining. You have a journal which comes in handy. There isn't a map, but you don't need one. There is a built in SG which is nice. The end of the main game was satisfying and the bonus chapter was fun to play. The bonus chapter seems to set up the next installment in the collection. The other CE items include music, wallpapers, screen savers and concept art. I highly recommend this game and am looking forward to playing the next game in the collection. Rated 5 out of 5 by Ldasim from All PupputShow games rock my world love the theme and the game play , all fun to play. Rated 5 out of 5 by sapoe from awesome sequel! Just two words, LOVE IT! I played this one when it first out and never give a review. So yes, I really enjoy and having fun playing this game from beginning 'til the end. All of this series, is on my favorite list games I ever played. But this one, it's soooo memorable for me (maybe because "the shocking storyline"). Thanks you ers and good job! As always, I adore your graphics. 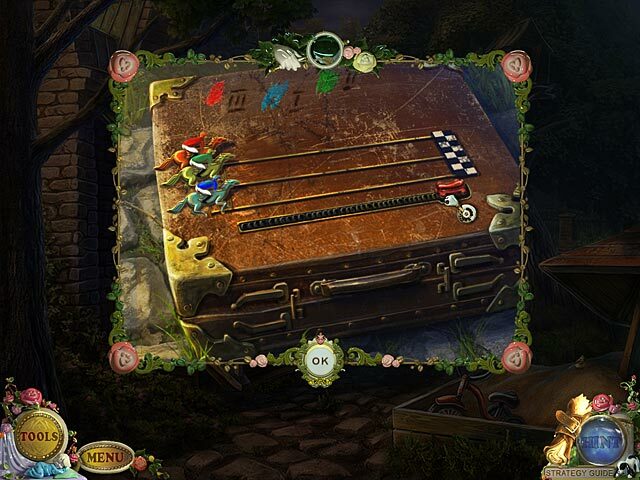 Rated 5 out of 5 by piccolocv from Excellent This game had great puzzles and a good story. Really enjoyed it and the bonus content of the CE. Rated 5 out of 5 by cicina54 from Puppetshow: Return to Joyville COLLECTOR's Edition This is why I get the COLLECTORS EDITION when I see it! All collectors editions include the strategy guides! That is why it is well worth the extra$$ I would have been racking my brains! I am so glad I bought this one I will check out the other games as well. Really enjoyed interaction. It helps as you play to really watch every detail! That cat was getting on my nerves,but it was all in the game! So glad there were no spirits or craziness like that,wierd people and puppets were enough! Rated 5 out of 5 by Jem_Jerrica_Guy from I originally thought ERS was making a cheap buck by altering the storyline... -but I was wrong! This is the best I've played so far! Beautiful graphics and it's worth it at the end to see what happens to Felicia. Rated 5 out of 5 by Pattisue63 from One word: Perfection!! I loved EVERYTHING about this game. Every PuppetShow game has been outstanding in every way. If they come out with more in this line, I would buy without even sampling first. 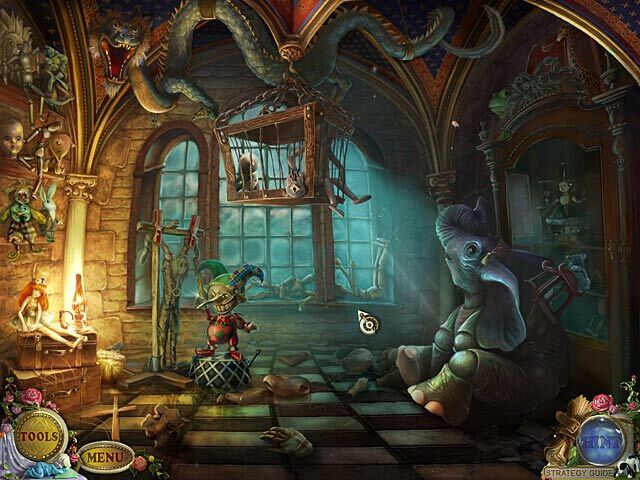 Rated 5 out of 5 by neilskinut from Get them all I love all the puppet show games. They are fun to play and have a good story line. I will get the next one that comes out with out hesitation. Rated 5 out of 5 by Xhrystal from Marty, we gotta go back! !!!!!!!!!!!!!!!!!!!!!!!!!!!!!!!!!!!!!!!!!!!!!!!!!!! Amazing! The developers were genius to change it up and have you work with Felicia and go back in time to change the past. This presented a unique twist and also introduced a new villain- genius! This is definitely my favorite of the series thus far. It had a lot more of figuring out things than just HOS's and puzzles which I liked and as always with these games, beautiful graphics. These games stand out from every other type of HOG game I've played. Collector's Editions for this game are always, always worth it to me. I'm seriously completely in your hands. Make as many chapters to this story as possible and I will buy the CE of them all.